This idyllic place has it all for nature-lovers and adventurers to enjoy from caving to trekking into waterfalls and valleys. The warmth of people around as well as delectable food makes this place at the top of my list. One of the best islands in the Philippines. Travelers go here for the beach and not surprisingly so because this island has beaches that can rival the most popular ones. Sugar Beach, Paradise Beach and Alice Beach are all worthy to visit but there are other attractions here as well such as the Peter and Paul Church and the Madrilejos Ruins. Cagbalete Island is so unbelievably beautiful. It has the longest and the widest stretch of fine-white sand beach that I have ever seen. The sunrise there is also amazing. 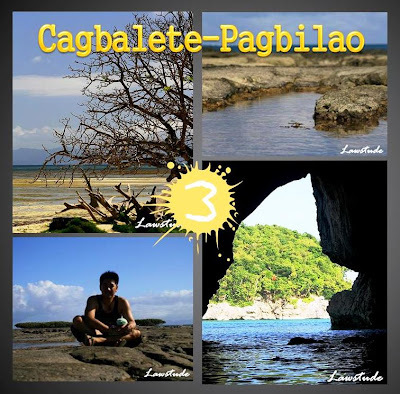 A bonus side-trip in this travel is the Pagbilao Beach. It is almost hidden and truly one of the best beach that I have enjoyed. In fact, I have taken only few shots of this place because I was busy swimming on its crystal-clear waters. 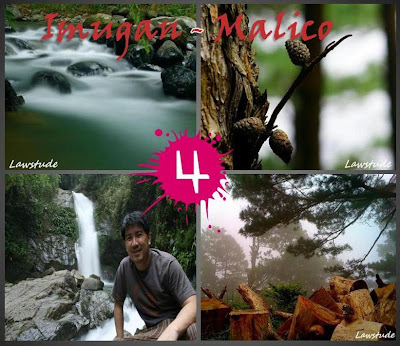 "Nature at its Best" is how I describe Imugan and Malico in Nueva Vizcaya. This is not a popular destination for travelers but you will definitely enjoy the simple life there. The Imugan Falls is one of the most scenic falls I have visited this year and the Malico Pine Forest literally feels like you are walking on clouds. I was with amazing company in a very friendly community. 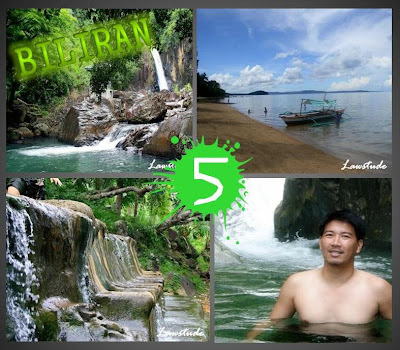 Biliran prides itself with a reputation of having the purest and sweetest water, numerous waterfalls, rice terraces and several sandy, white beaches on offshore islands. Sadly, tourism has yet to take off in this quiet island province. In fact, there are no organized travel and tour agency in the province so the able officers and staff of the Provincial Tourism Office, aside from the information that will give you, can also be your tour guides. Of all the places I have seen, I consider this island as one with the best tourism potential so I encourage everyone to experience Biliran now before it becomes another tourist trap. 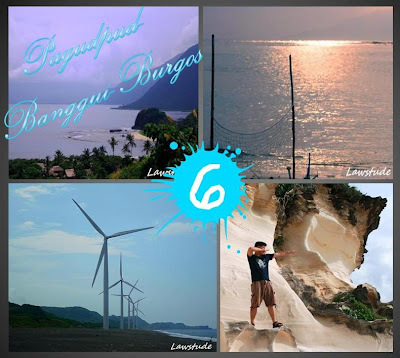 I was in Ilocos Norte last year and that trip landed as my third top travel of 2008. What's different this time around is that I have visited the awesome Kapurpurawan Rock Formations in Burgos. Kapurpurawan in Ilocano dialect means kaputian or white and the these reflect the whiteness of limestone rock. One could climb on these rocks and be amazed by its different textures from smooth surface to somewhat wavy formations -and being there is truly an out-of-this-world experience. 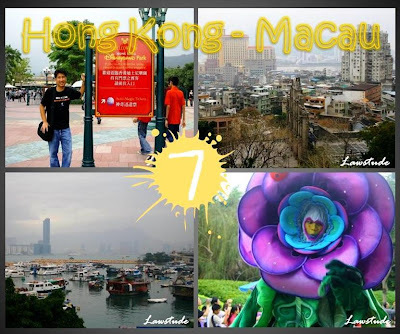 The sole out-of-the-country trip I had this year was in Hong Kong with a side-trip to Macau. I was amazed with the transport system of Hong Kong and how easy it was to navigate from place to place. I enjoyed walking on Lantau Trails and Hong Kong Trails and also experience how to be a kid again in Disneyland. In Macau, I marveled at the Venice-scene in Venetian Hotel and immensely enjoyed the experience wandering around the heritage sites of the Old Macau. 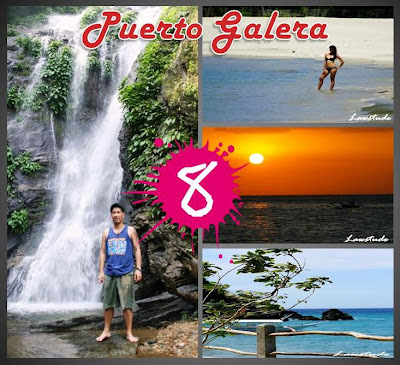 For most travelers, Puerto Galera is nothing but the White Beach. However, the island has so much to offer. On my second time to this island, I have gone to places considered as off-the-beaten paths like Tamaraw and Aninauan Falls. I have also visited not-so-popular but equally stunning beaches in the far end of the island. 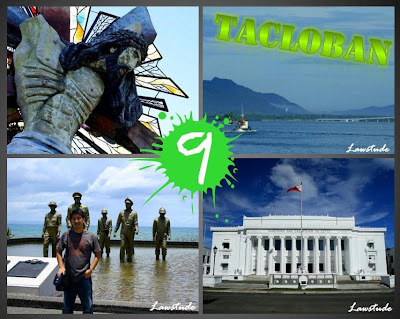 Tacloban City is a premier city in Eastern Visayas and boasts of historical destinations that served as backdrops in the struggle to regain Philippine independence. It is famous for the Statue of Gen. Mac Arthur in Red Beach and the magnificent San Juanico Bridge. Of course, you should try the delectable Binagol and Moron while exploring the city. This is one of the last places I have visited last year and the one that also left a lasting impression. 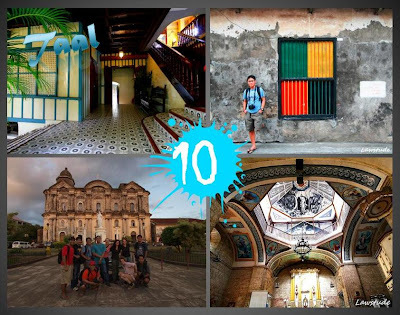 The town of Taal in Batangas is a historic small town with a number of old Spanish colonial churches and buildings. It is home to the massive Basilica of Saint Martin de Tours and the surprisingly beautiful Caysasay Church. Its old Spanish houses will make you feel like you are walking in the past. Simply amazing. 2009 is all about new places and new friends. Hopefully for 2010, I could go to other places in my wish list, and more importantly, meet and travel with YOU guys who have spent some time reading and commenting in this humble blog. Cheers for 2010!!! Photo credits to Ronnie on my shot inside Sagada Cave and Ferdz on the Group shot in front of Basilica St. Martin de Tours. 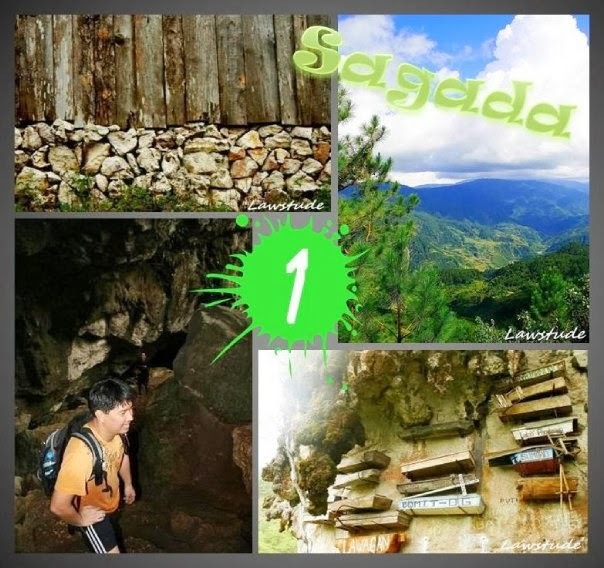 Been to three of your top 10 destinations.. looking forward to going to sagada this year. What a year has it been travel wise eh? So many memories I am sure. Here's to making more travel memories this year. hay how i wish my fellowship training will be over...i so so wanted a wow philippines tour...thanks for this post...at least i now have an idea of which places to visit first.hehehe happy new year! thanks for sharing with us your travels in 2009. looking forward to more exciting and beautiful places here this year. stay safe! I hope in two years time, after I graduated form this haggard-ing course, I will able to do a list like this, "My Top Travels". Oh, I'm day dreaming again. Happy 2010 Kuya. Sana marami ka pang travels this year. For some reasons, I liked most the Pagudpud collage. More travels for this year! And Im sure naka sked na kung saan ka pupunta this year. thanks for the mention bro! more travels this year! What a great list of destinations. Hope you get to travel to many exciting places in 2010! Great Top 10. More travels in 2010 and be safe always. I love Sagada and Bantayan posts so no surprise there. Happy New Year and more travels in 2010. You'll never go wrong with Sagada! Paborito ko rin sya especially if I want to just unwind. Amazing top 10 and more top ten in 2010 hehehe. @ chyng - tough choices but i have to agree with the top3 of my readers. happy new year. @ gillboard - very nice. have a safe journey there and enjoy. @ photo cache - thanks. lots of happy memories specially that i have met some great bloggers last year. @ angelmd-no-more - one of my purpose in maintaining this blog (however time consuming it may sometimes be) is that i want all of you guys to travel and experience wow philippines. and give few tips on what to expect on the place. cheers. @ redlan - 2009 was a blast indeed. sana ma-meet kita this year at ilibot mo kami sa ilo-ilo at guimaras lol. @ luna miranda - i agree. too many laces, too little time. have a safe trip also in 2010. @ lateralus - i couldn't agree more. thanks for bringing me to sagada. @ cza - thank you and cheers. @ .poot - kaya yan. aral muna and then enjoy life afterwards. :) or pwede rin isingit paminsan-minsan para makapag-unwind from school. @ witsandnuts - i like pagudpud too and i won't be surprised if i make it up there again this year para 3 in a row na lol. @ lagalog - thanks ogs and safe trip alays too. @ pusang-kalye - an 8-hour drive from manila is surely worth it. try mo na. @ kris jasper - happy new year. uhm. actually marami raket this time because of the elections so baka mabawasan lakad lol. @ lantaw - same to you bro. travel safe. @ janie - thank you and happy new year. @ vinzent - thanks bro and hopefully makapagtravel din ng madami this year. @ carlotta1924 - wow. salamat. i am more than glad to share them with you guys. @ vanessa - happy new year too. wow pressure agad sa baler lol. but the place is awesome, watch out for it. @ anonymous - thanks. i'll try my best. @ ferdz - i love that place and would love to explore mo. cheers bro for 2010. @ andy - it was a fun trip with dongho, kit and manny plus may side trip pa sa pagbilao. i love that trip too. Happy New Year Kuya Oman! 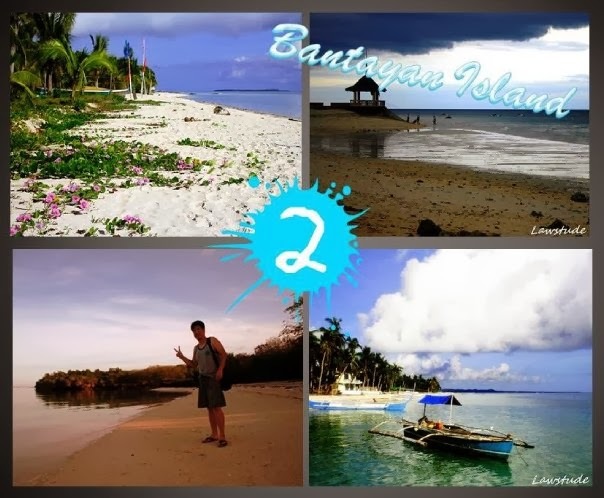 Great choices for your top 10. my fave definitely is bantayan island.